TeamHealth has an excellent opportunity for a physician to join our OB/GYN Hospitalist team part-time at JFK Medical Center in Edison, New Jersey. Enjoy working with a friendly, high-caliber team of professionals. 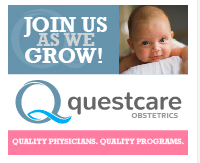 Position to entail providing 5-6 (24hr in-house) Ob/Gyn Hospitalist shifts and serving as needed (PRN) in JFK's Family Medicine Residency clinic and Plainfield's FQHC clinic. Put the passion back into your practice lifestyle by taking control of your time! 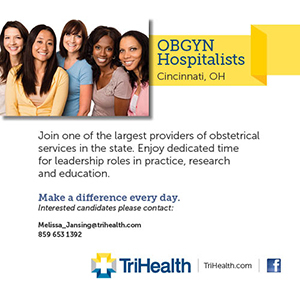 The ideal candidate will be a board-certified OB/GYN physician (MD or DO) who demonstrates clinical excellence, superior communication skills, and a focus on providing quality care and placing the patient above all other considerations. 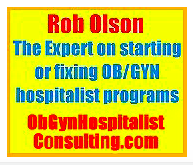 Qualifications also include active and current skills in the full breadth of the OB/GYN specialty, and a current New Jersey license to practice. Other requirements include a willingness to drive patient safety and quality initiatives as required by the TeamHealth Patient Safety Organization; insurability for malpractice insurance; at least 3 years of active practice; and a successful track record. Must be comfortable working with and supporting Certified Nurse Midwives. 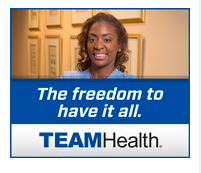 TeamHealth offers excellent remuneration plus paid professional liability insurance with tail coverage and sovereign immunity with FQHC patients. 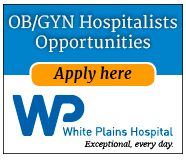 Westmed Medical Group is actively seeking a BC/BE Laborist to work part-time at The Greenwich Hospital. 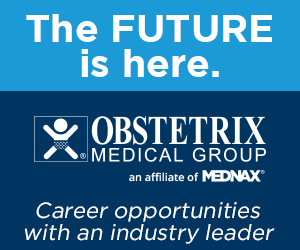 An excellent part-time opportunity for a Laborist with the Westmed Medical Group - a large, progressive, and financially thriving, physician-owned, multi-specialty practice. Within commuting distance from NYC, CT, and NJ, we offer an excellent, competitive compensation and benefits package. Westmed Medical Group is a large, award-winning multi-specialty medical practice, with headquarters in Purchase, NY. 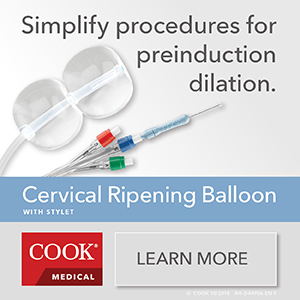 It is staffed by a team of over 500 Physicians and Advanced Practice Providers who are dedicated to providing coordinated, efficient and the highest quality of patient care at its 13 locations in Westchester County, NY and Fairfield County, CT. The practice, known for its one-stop-shopping medical experience for patients, uses state-of-the-art systems and has a national reputation for measured healthcare excellence. Westmed offers 60+ medical specialties and currently has over 1,000 employees. Our mission is to be your trusted partner in comprehensive, lifelong care. The foundation for service excellence at Westmed Medical Group starts with the patient experience and focusing on the complete total care of our patients. Westmed is recognized by the National Committee for Quality Assurance as a Level 3 Medical Home, the highest achievable level. Westmed has been one of 480 Medicare Accountable Care Organizations (ACOs) nationwide since 2012, and was ranked a Fortune® 2017 Best Workplaces in Healthcare and in New York State.